6. Now click on Next and select "Simple Mode". 7. Once it completes it will show that the process is completed then click oK an it will show the ireb screen. 8. 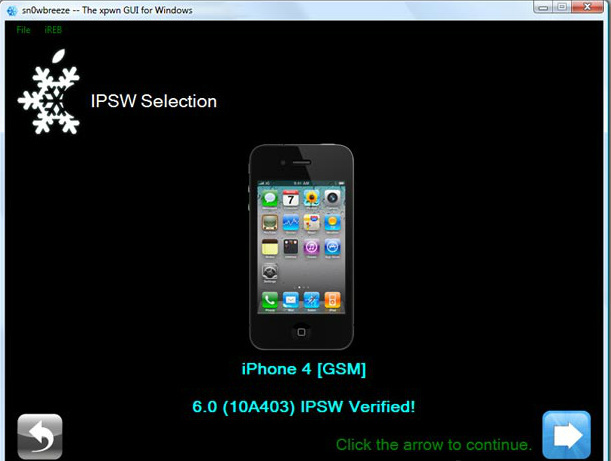 Now put your device on DFU mode and click start and it will put your device on I-reb mode. 9. Open itunes and restore using the software that you will find on your desktop made by snowbreeze once the restore completes, cydia will be added bit it won't run yet. 10. Now make cydia run go back to your laptop you will find a folder named ibooty on your desktop open it. 12. 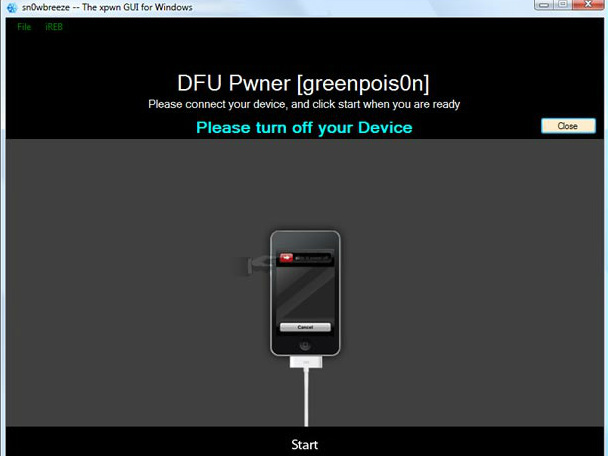 Now put your device on DFU mode and select your device and click start.